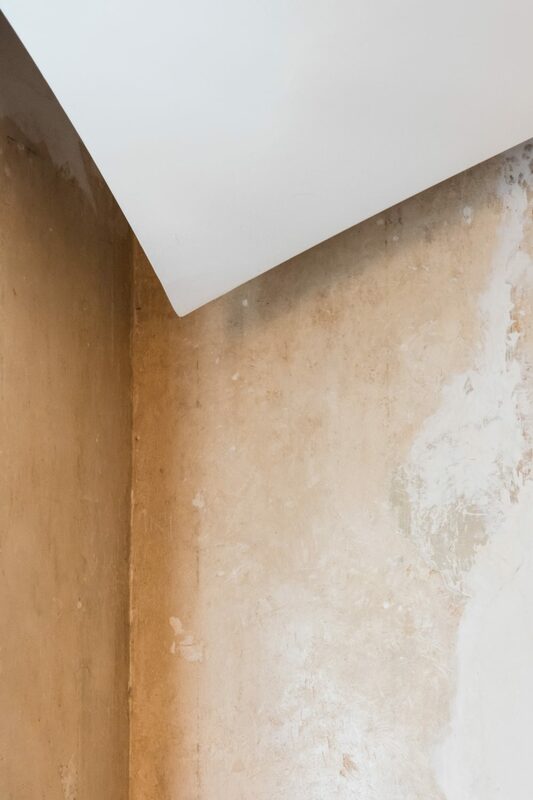 A house is not just a place where to seek shelter from the weather or to prepare a hot meal. 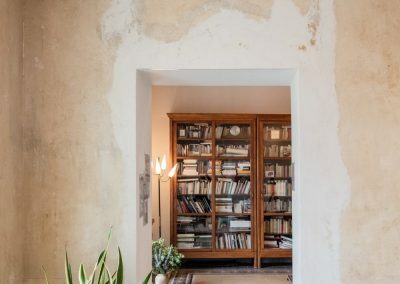 In a home, in its most familiar meaning, people lay the foundation to build memories, sharing them with beloved ones or those to know better. 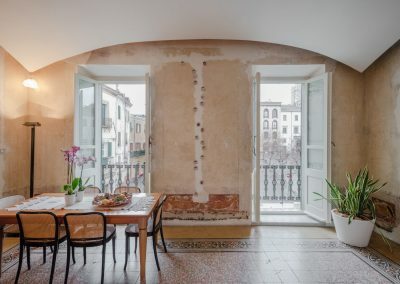 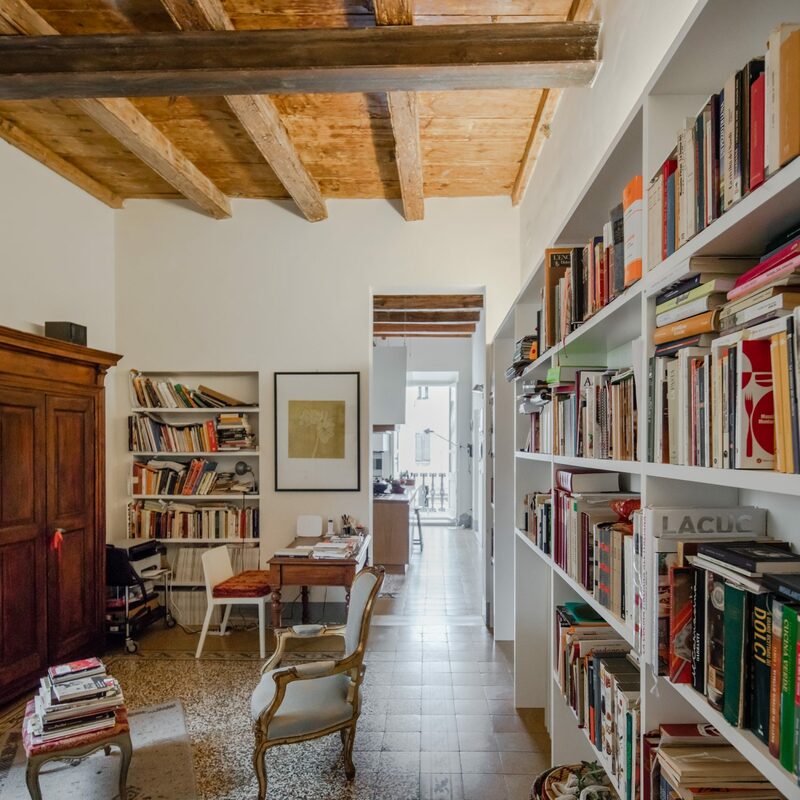 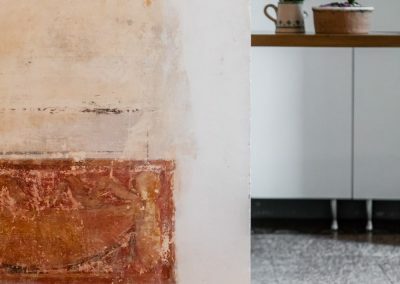 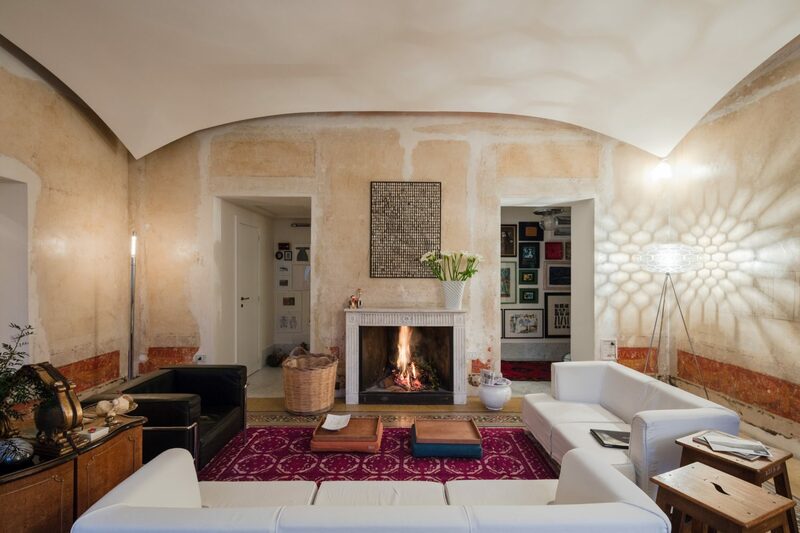 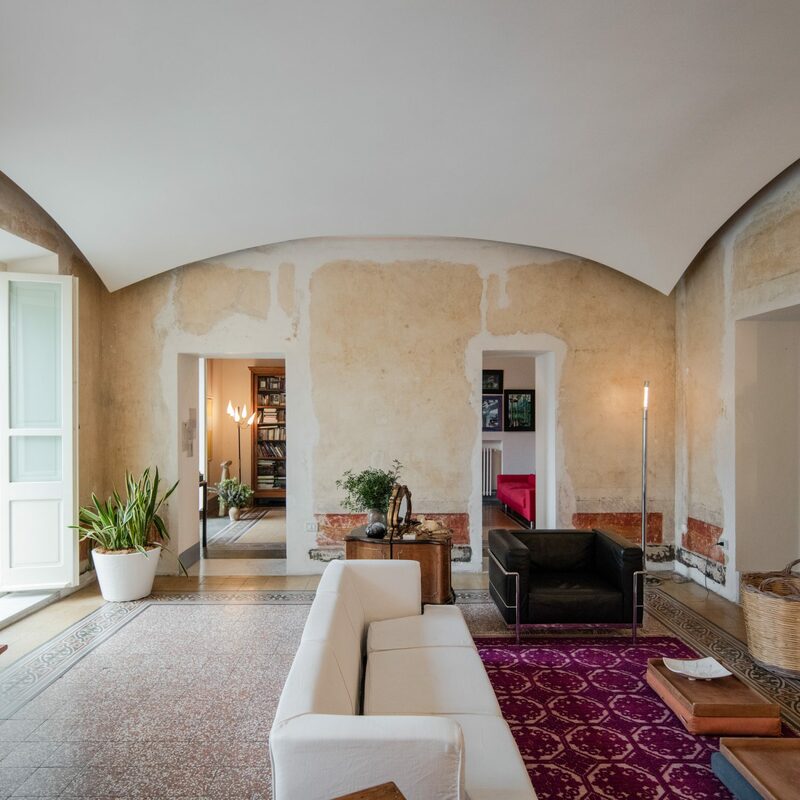 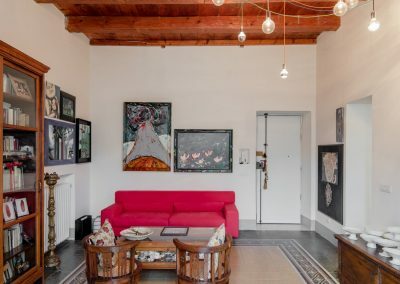 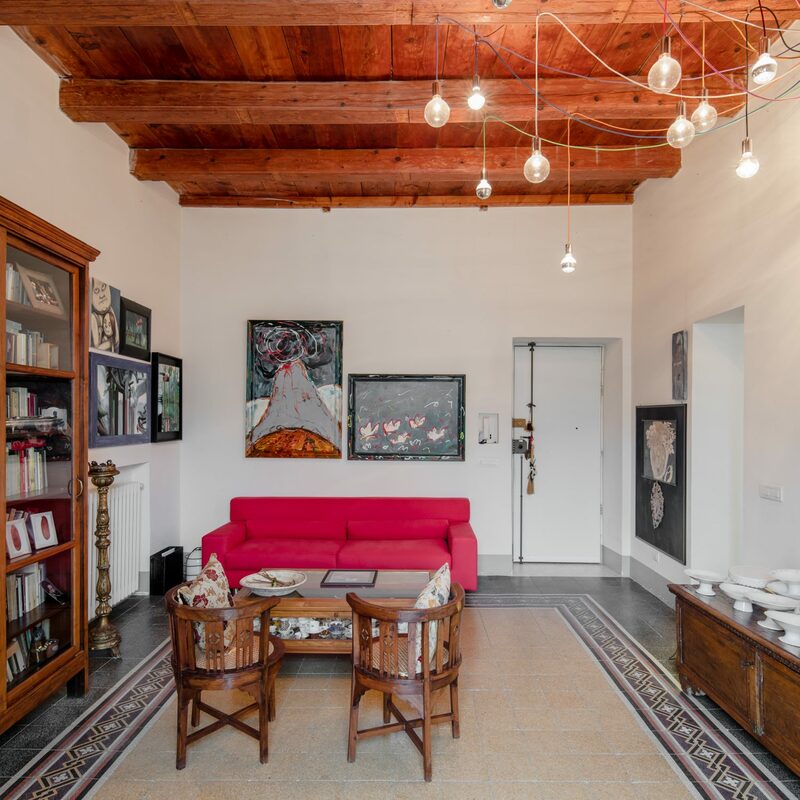 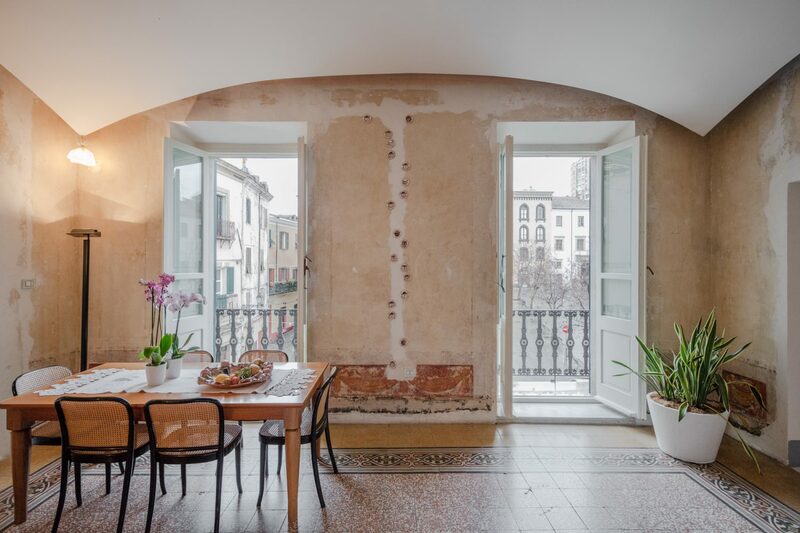 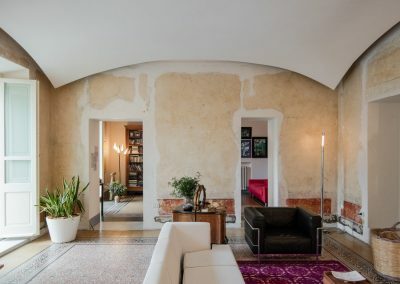 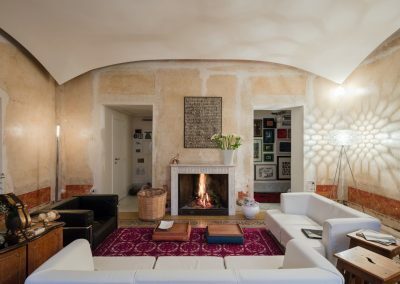 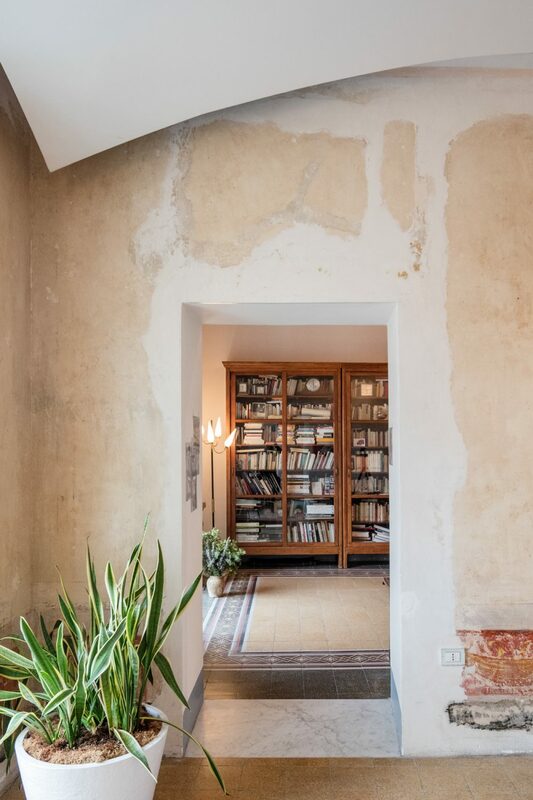 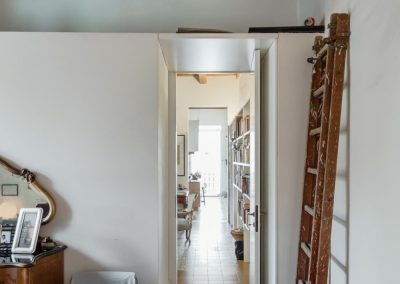 The owners of this Art House know it quite well and have infused a unique personality to this beautiful apartment, located on the second floor of a 19th century palazzetto, in the historical center of Sassari, overlooking a public square. 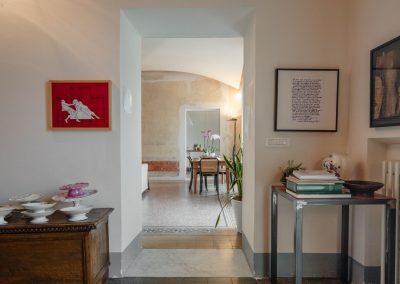 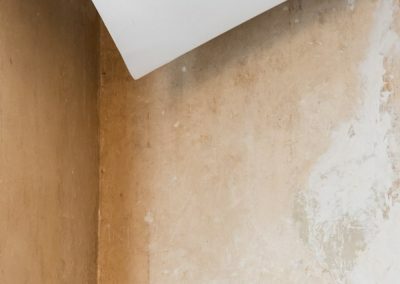 A space inside a space, a square into a square: Stefano and Giovanni love company, talks and events, and their home, renovated by Officina29 Architetti, is the best place to share and connect. 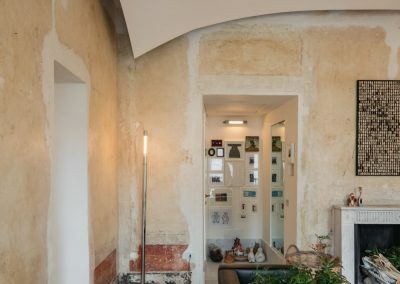 This will is clearly readable by the sequence of spaces, always communicating with each other, visually and physically, thanks also to the opening of new passages: these openings, proportionally different from the existing ones, also allow to align the spaces to those of the 19th century houses; a real path that explores the house, room after room, surprise after surprise. 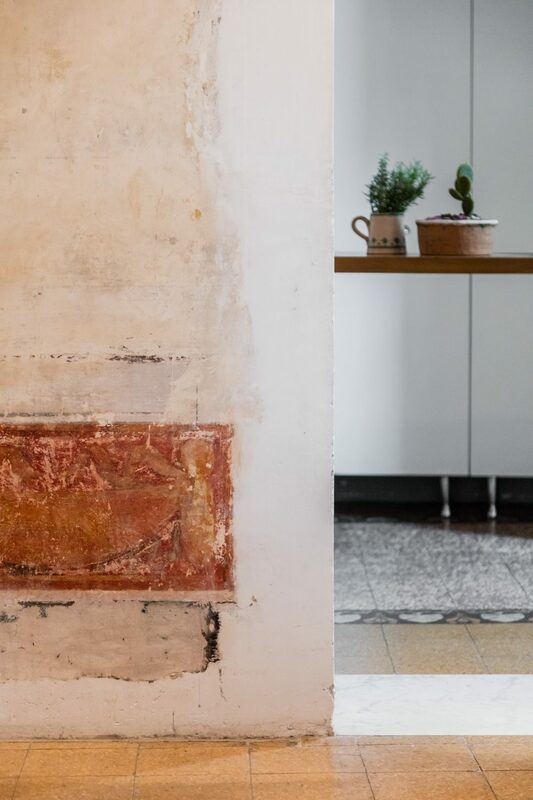 During the restoration phase, stuccoes and original wall decorations have been brought to light, giving them back their natural glory. 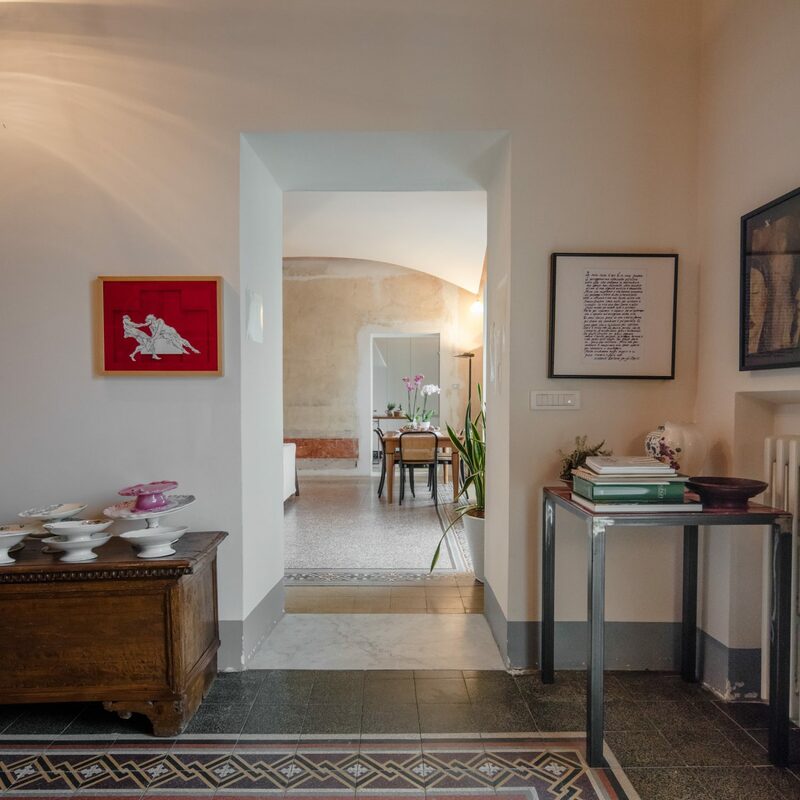 Even the flooring are authentic: marbles in different shapes and colors that look like big carpets, on which to sit and chat in front of a good glass of wine. 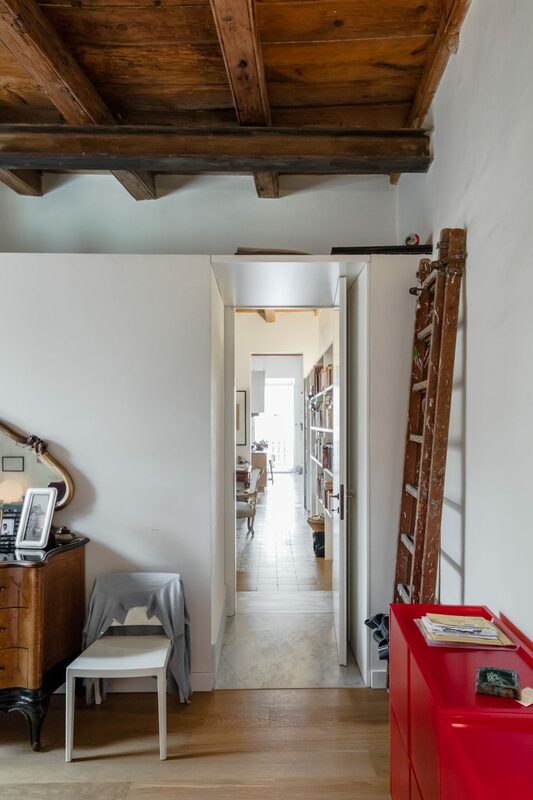 Wood beam ceilings are also original: the only one that has not been kept is that of the living room, the heart of the house: here a fireplace sits on the main wall, as well as a drywall vault floats on guests’ heads, without touching the walls, as timid as a respectful intruder. 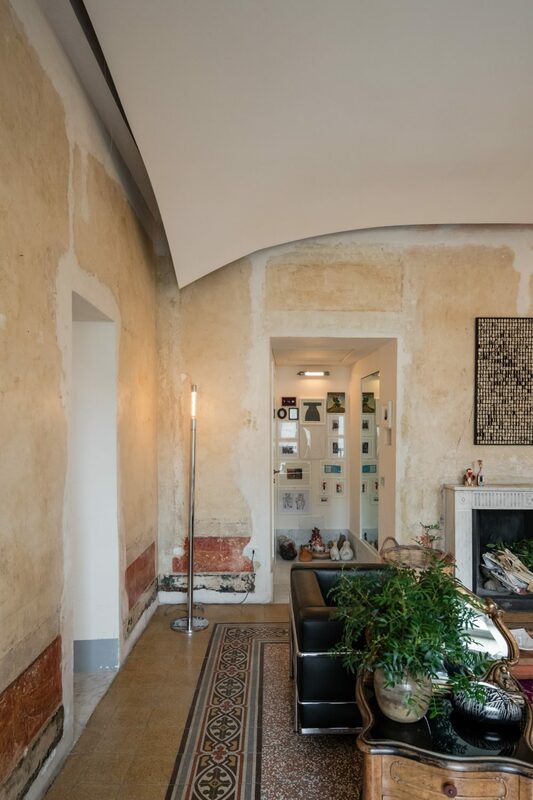 The latter not only enriches the space quality, but encapsulates all the technology used in the flat. 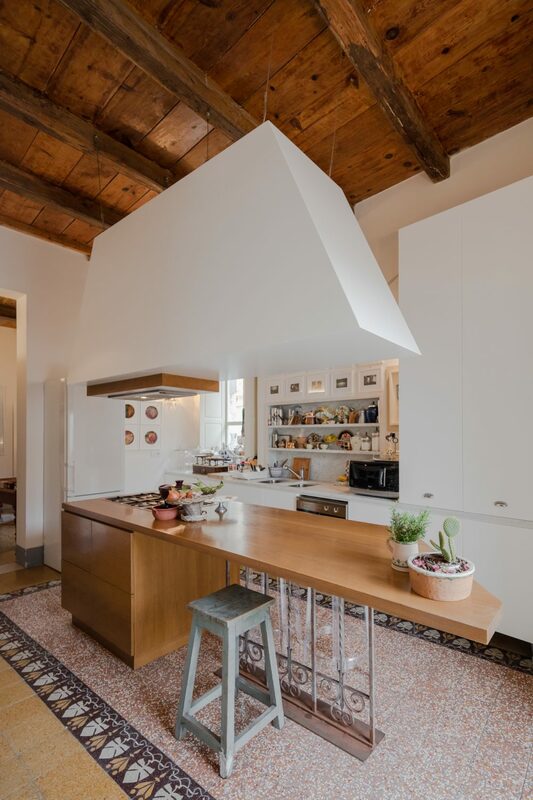 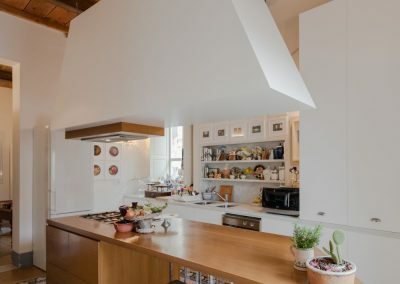 The same respect for the existing is evident even in the few new partitions that never touch the ceiling, in order to allow a complete reading of the environment and not to damage the wooden beams; even the monumental kitchen hood is hanging mid-air, through thin steel cables. 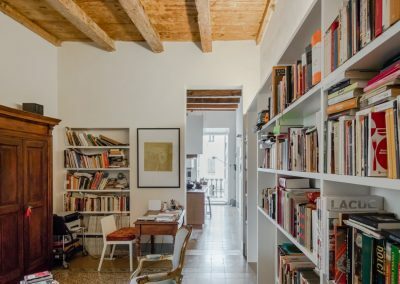 The entire apartment is read as a unique space, a warm and welcoming environment, embellished with lively and neatly chaotic furnishing, such as the ingenious and tireless mind of an artist, at the heart of inspiration. 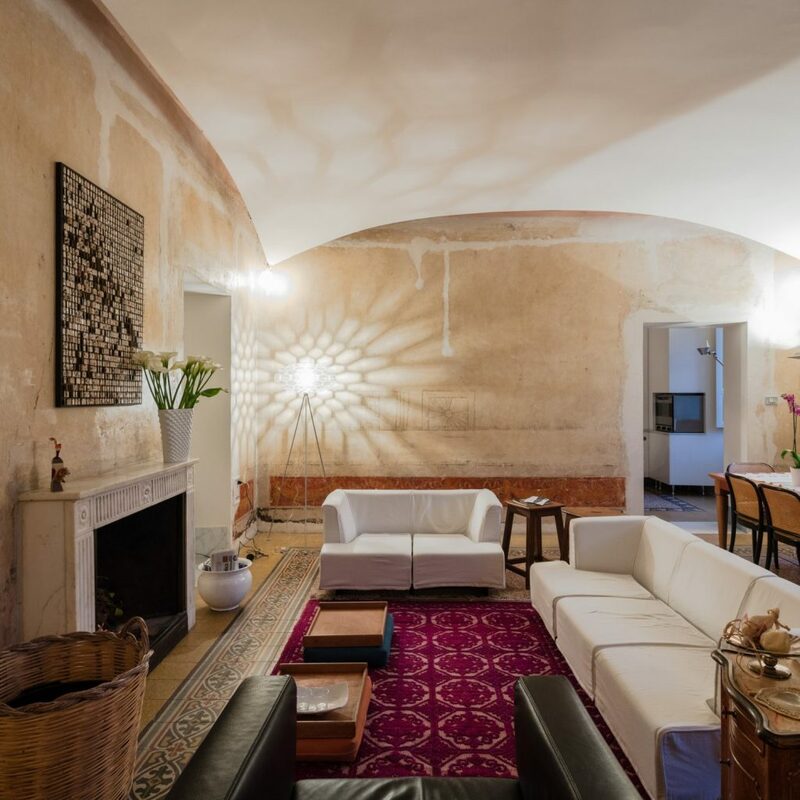 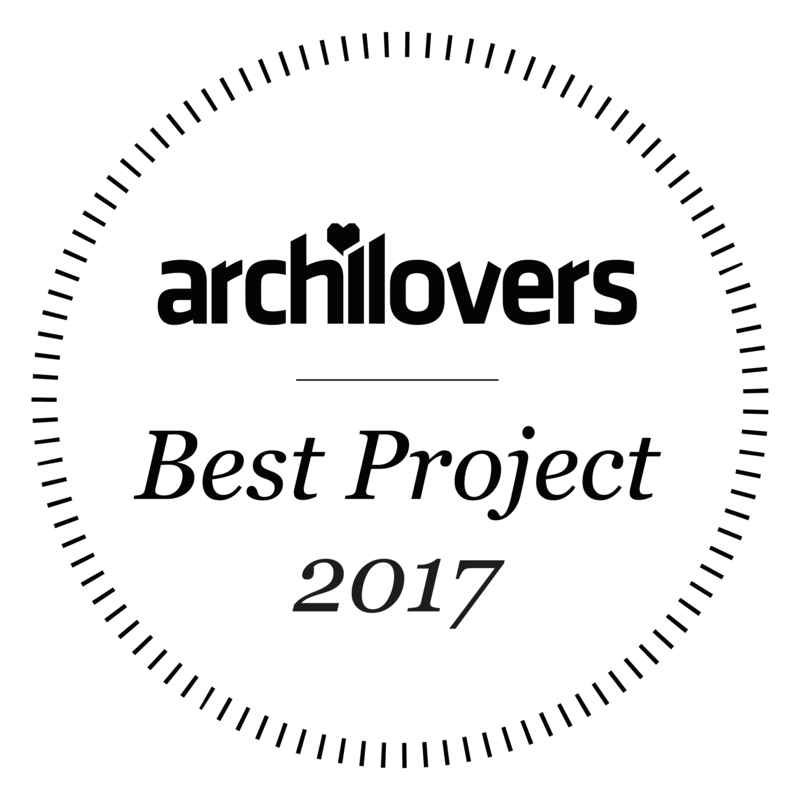 A young and active firm of northern Sardinia, involved in architecture, interior design, urban planning and landscape design, combining, in a common goal, the natural talents of a professional team. 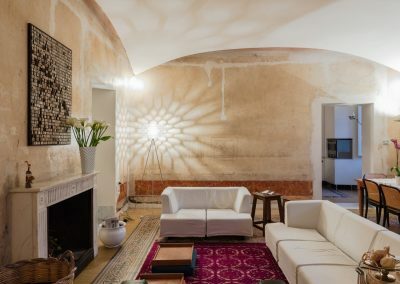 The O29 Consortium was founded in 2015, thanks to an idea of Stefano Ercolani, and it consists of a group of artisans working together to achieve a single goal: the realization of the project, in every aspect.